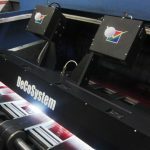 DeCoSystem is an international company based in Firenze (Italy) and its products are worldwide recognized as the top-level print inspection systems regarding the entire packaging industry. 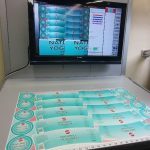 The goal of the company is the optimization of the printing process by developing artificial vision technologies for the quality control of printed and decorated products. Their products are always innovative and technologically advanced thanks to high resolution cameras, customized lighting systems and special images analysis algorithms. 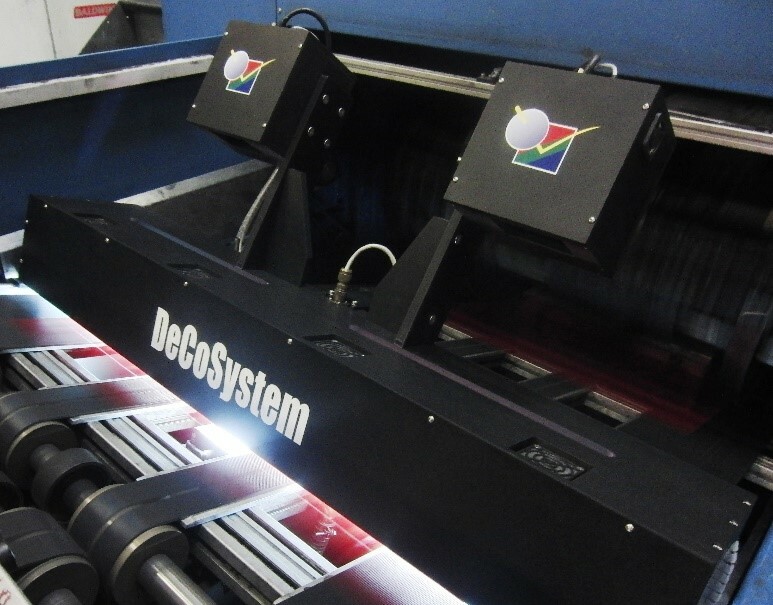 Compact size and easy installation, simplicity on the use, fast new job setting and amazing accuracy in defect detection are the main characteristics of DeCoSystem inspection systems. 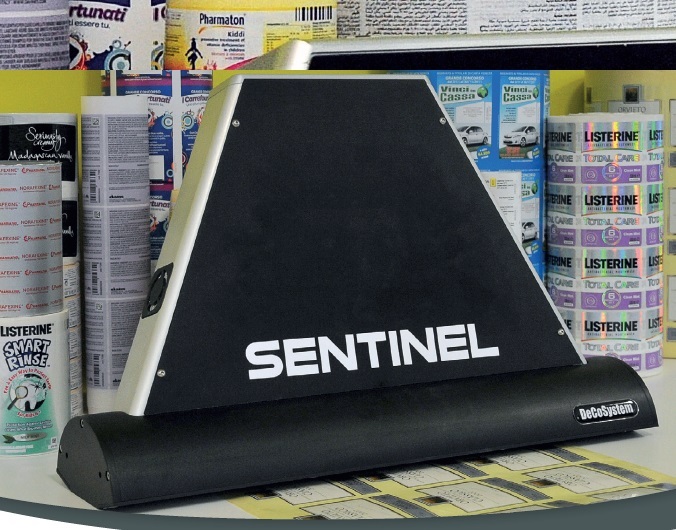 SENTINEL GOLD is an advanced quality control system for label based equipped with linescan camera. 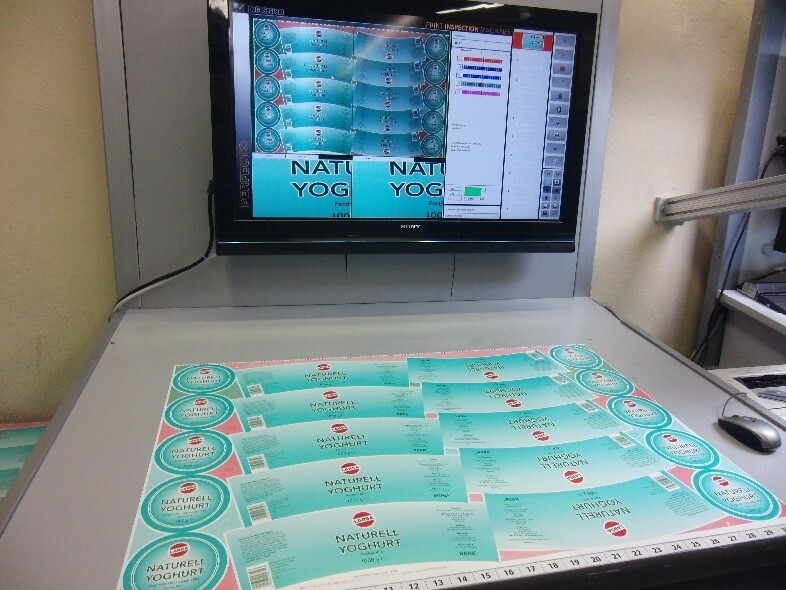 Sentinel-GOLD checks the print quality thanks to special verification functionality. It uses a high resolution linescan camera that allow the system to achieve a very high precision during inspection. Thanks to this specific technology it is possible to visualize and inspect all parallel labels of one reel just with a single image. Thanks to its highly flexible configuration Sentinel-GOLD can be easily integrated into any production line. The system can be integrated into the printing machine where the reel is stable. The integration directly into the printing machine guarantees an immediate alarm in case of printing problem and helps in the waste reduction. 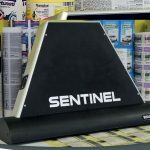 Sentinel-M2Scan can be installed on the slitter machine too where the system can be directly connected to the machine and stop it in case of defect on the reel. Sentinel-GOLD is used either to detect and classify defects or to improve the process and increase the productivity. When a defect is found, the operator is alerted and he can take action immediately avoiding large amounts of waste. The type of defect is logged in order to provide a detailed report for each roll. The reduction of waste and the optimization of the process help to rise the profits of the production.